Las Vegas bus tours are the best option for first time visitors, families and people who like to sightsee. These excursions are wonderful for people to get oriented with Sin City before setting out on their own and all the tours include an expert guide who knows the real history behind Las Vegas. The excursions offer a great value for visitors with bus tours that include hop on/hop off, night tours of the neon lit Strip and there are unique double decker buses that offer panoramic views from the upper level seating. 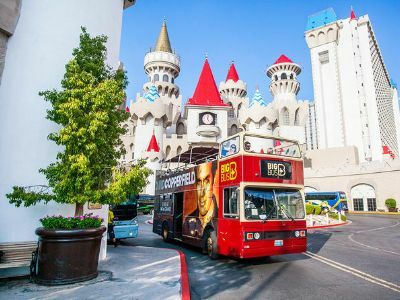 There are a variety of Las Vegas bus tours that take you looking for ghosts, to famous reality television show locations such as the Pawn Stars and almost all of the tours include a stop at the Welcome to Fabulous Las Vegas Sign. It's a shame to come to Las Vegas and not visit the Grand Canyon! (Unless you've visited it before). 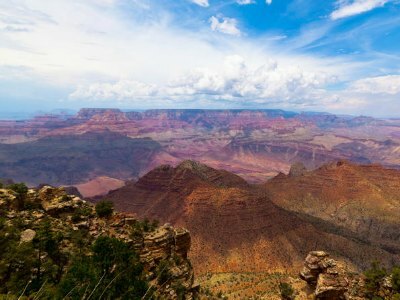 It's only a few hours drive from the city, and there are plenty of Las Vegas bus tours that go to the Grand Canyon. They are perfect for the introduction to the canyon, and are quite affordable, compared to some other options of getting to the Grand Canyon. Buses go to the South Rim and the West Rim. 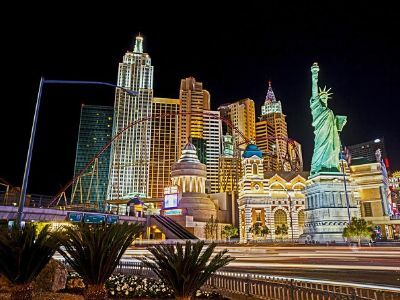 When you want to see the Strip in all of its glory with the neon lights shining and learn about the interesting history of Sin City, then an ideal Las Vegas bus tour for you is the Las Vegas Night Tour of the Strip by Luxury Limousine Bus. This 3.5-hour Las Vegas activity begins with complimentary hotel pick-up service where you will board a customized 25-seat luxurious limousine bus. As you travel the Strip in style your expert guide will tell intriguing stories of the history of the city that was once known at Glitter Gulch. You begin your travels on the south end of the Strip where you will make a stop at the Welcome to Fabulous Las Vegas and enjoy a toast with a free glass of champagne while taking photographs. From here you will travel to the erupting volcano at the Mirage and the dancing waters of the Bellagio Fountains. As you travel you pass by many of the important landmarks that make Las Vegas the entertainment capital of the world. Your final stop is in Downtown where you will have time to enjoy the light show at the Fremont Street Experience. Your evening concludes with free drop-off service back at your hotel. The best Las Vegas bus tour for families, first time visitors and anyone who wants the flexibility of seeing the numerous highlights of Sin City at their own leisure is the Big Bus Las Vegas Hop on/Hop off Tour. During your hop on/hop off bus excursion you can begin at one of the several locations that bus makes a stop including most major hotels on the Strip. 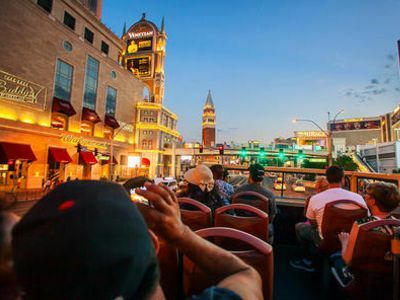 This Las Vegas activity starts when you find a seat on the English-style double decker bus that offers a great vantage point for photograph opportunities when you are riding around. The best part about this excursion is your ability to see numerous Las Vegas attractions such as the High Roller, the Fremont Street Experience, the Bellagio Fountains and the erupting volcano at the Mirage. The bus makes 15 plus stops where you can take an easy walk to numerous places to shop, dine and visit the stellar attractions within Sin City. There are two lines to choose from that operate on a daily basis which is perfect for getting yourself oriented with the city. Add-on options include Deluxe tickets that include admission to the CSI Experience at the MGM Grand or a museum and the Eiffel Tower Observation Deck. If you like watching the interesting reality shows on the History Channel, then a great Las Vegas bus tour for you is the Las Vegas VIP Pawn Stars Tour. Your 5-hour journey begins when you meet your expert guide and board a specialty bus that will take you to five exciting locations where the hit television shows named Pawn Stars, Tanked, Counting Cars, American Restoration and the Toy Shack. Your first stop is Acrylic Tank Manufacturing where you will see the operations of Tanked and the unique aquarium tanks they have created. From here your next stop is to see the working quarters of Rick Dale who is the icon from American Restoration. Then you will travel to Danny Koker’s garage where you will see the amazing custom car and motorcycles he showcases on Count’s Kustom. Moving forward you make a stop to see the Toy Shack which is home to thousands of unique collectible toys. After visiting all the regular guests on the Pawn Stars, you will make your final stop at the Gold and Silver Pawn Shop where you can browse and purchase anything from an autograph of a famous celebrity to a painting by Picasso to a super bowl ring. A side note about this Las Vegas attraction is that you may or may not see your favorite stars or the complete inside of a location based on filming schedules and there might be slight changes to the order of the itinerary for the tour. An ideal Las Vegas bus tour for first time visitors and families who want to see all of the sights of the Strip is the Big Bus Las Vegas Night Tour. Your 3-hour journey starts at one of three locations which are Circus Circus, the High Roller or the Excalibur where you will board a unique double decker bus that is equipped with a full sound system so your expert guide can fill you in about all the unique places you will see. As you travel the Strip at night, you will be engulfed in a sea of neon that is unbelievably beautiful and the open-air bus allows you to take numerous photographs. Sights you will see along the way include the Bellagio Fountains, the MGM Grand, the Eiffel Tower and the unique Romanesque architecture of Caesars Palace. Other intriguing locations you will pass by are the Welcome to Fabulous Las Vegas Sign, the erupting volcano at the Mirage and you will make one stop at the Fremont Street Experience where you can stretch your legs before the concludes back at your place of departure. The Haunted Vegas Tour and Ghost Hunt is a perfect Las Vegas bus tour for visitors looking for a frightening good time of eerie tales of Sin City. This 3-hour haunting thing to do in Las Vegas begins when you meet your expert ghost buster at the Tuscany Suites and Casino where you will board a comfortable bus for your evening excursion. During your tour you will visit numerous places that locals and legend believe to be haunted by iconic people such as Michael Jackson, Liberace, Elvis and several mob related people. There is a combination of 21 sites that are rotated on this excursion making each trip unique. 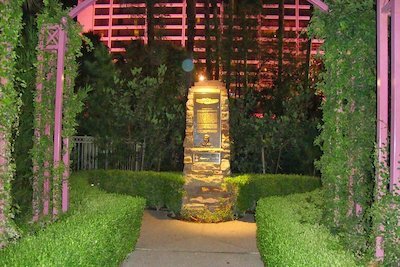 One of the more interested stops and stories is found in Bugsy Siegel’s Secret Garden located on the former grounds of the famed Flamingo Hotel and Casino. Here in the garden area people claim that Bugsy roams the area in darkness trying to find his home, the former Flamingo. When you are through visiting many of the haunted sights in Sin City you will indulge in a complimentary pizza dinner. Your excursion concludes when you return to the Tuscany Suites and Casino. Car enthusiasts love looking at fascinating pieces of American culture that drive down the roads and the Count Kustom’s Las Vegas Experience with Lunch or Dinner is superb Las Vegas bus tour for you to try. The 3.5-hour car viewing extravaganza begins when you meet your expert car guide at the Rio Hotel and Casino at Count’s Tattoo Company. From here you will board a mini-bus that has been customized by Count himself and travel in style for a photo opportunity at the Welcome to Fabulous Las Vegas Sign. 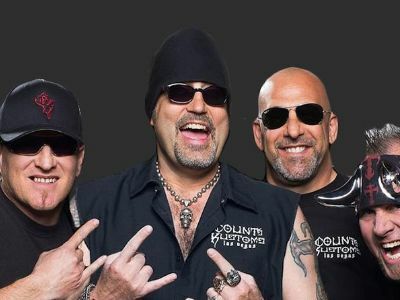 Now the excursion takes you to Count Kustoms where you will be amazed at the intricate work that Danny Koker has done on the cars and motorcycles that have made Counting Cars a popular show on the History Channel. After this stop you go to WelderUp which is the home to another popular show called Vegas Rat Rods. Here you will view the creations by Steve Darnel and his crew before heading off to the interesting Shelby Museum where you will see the incredible Shelby American Collection of muscle cars. There are a couple of add-on options for this thing to do in Las Vegas which includes a dinner on Tuesday night at Vamp’d Rock Bar and Grill with a meet and greet with one of the stars from Counting Cars. If you choose the lunch option there is a $15 credit per person at Vamp’d Rock Bar and Grill. If you want to down some great tasting beer and learn more about the history of Sin City then a great Las Vegas bus tour for is the Las Vegas Brewery Tour. This interesting thing to do in Las Vegas has a morning and evening departure that begins when you meet your expert guide at a central location along Fremont Street. From here you will board an air-conditioned shuttle bus that will take you to three splendid breweries during the 4-hour excursion. At each location you will receive VIP treatment that includes a tour of the brewing facilities as well as complimentary samples of the finest hand-crafted beers in Las Vegas. There is plenty of time at each stop to grab a quick bite off the menu if you get hungry (additional charge) and your expert guide will tell you intriguing stories of the Strip as you travel from brewery to brewery. 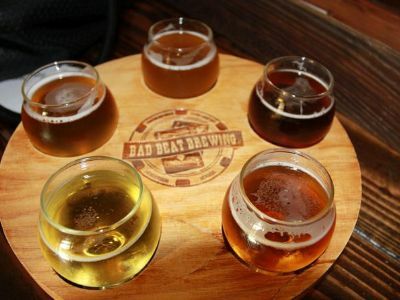 Some of the breweries you will visit include Boulder Dam Brewing, Chicago Brewing Company, Joseph James Brewing, Lovelady Brewing, Big Dogs Brewing Company as well as Bad Beat Brewing and Banger Brewery. Your flavorful beer tasting excursion concludes back on Fremont Street.